The death of his father nearly resulted in his own. Transformed into a living weapon by Overwatch, Genji set about the task of dismantling his family's criminal empire. After his mission was completed, he abandoned Overwatch to wander the world. Even he cannot say where his path will lead. 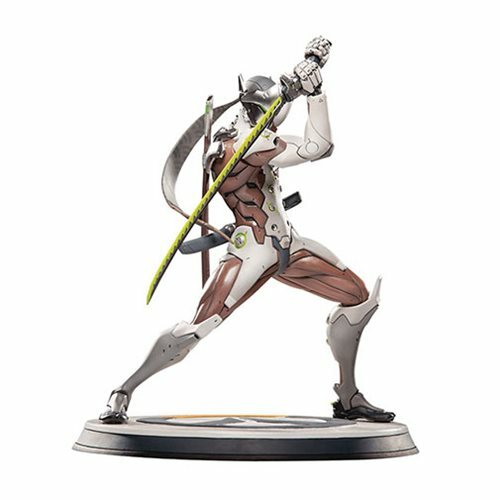 Sculpted by Dominic Qwek, this stunning polystone Genji statue stands about 11 1/2-inches tall and comes with a base that measures 10-inches in diameter. Ages 15 and up.